“The Live Tapes - Vol 3 - Live At The Manly Vale Hotel” was recorded on Saturday June 7, 1980 the same week that Cold Chisel's groundbreaking third album East was released. East would go on to dominate the charts for the rest of 1980 and set a new high for Australian music (the album is now well past 10 x Platinum). With amazing foresight, the band recorded the cramped, sweaty pub show on 2-inch 16-track tape and the original audio tapes have been found, baked and carefully prepared so that Kevin Shirley could mix them in June this year. They also filmed the show, but only the second film reel (featuring the second half of the show) could be found – despite months of archaeological digging, the first reel seems to have been lost forever. 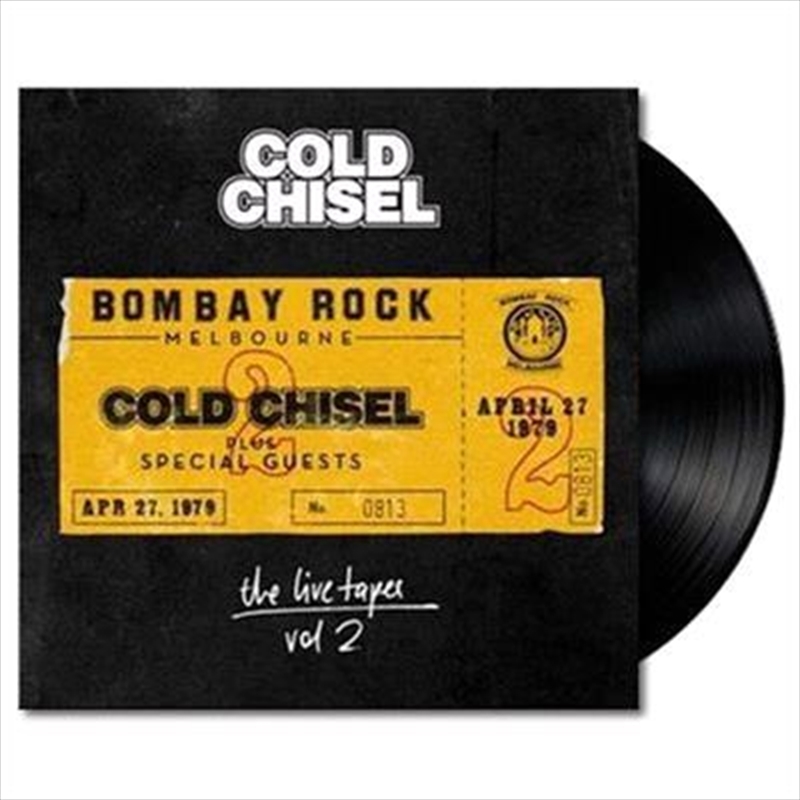 “The Live Tapes - Vol 3 - Live At The Manly Vale Hotel” is the third in an ongoing series of special live recordings unearthed from Cold Chisel’s own archives. This format presents the recording over 2 discs in a gatefold wallet. It reveals a fierce, lean Cold Chisel; whip-smart and confident from 5 years of relentless touring they were still hungry and risk-taking, previewing ten of East's twelve songs in the twenty-one song set. In addition to songs like 'Cheap Wine', ‘Choirgirl', 'My Baby', 'Rising Sun' and 'Star Hotel' that would all go on to become massive radio songs and a huge part of Cold Chisel's canon, the set also featured 'Khe Sanh', 'Breakfast at Sweethearts', ‘Conversations' and a speed-fuelled 'One Long Day' from the band's first two albums, songs that were already well on their way to becoming Australian classics. The set also features two great covers, an adrenaline-charged rendition of the '60s nugget 'Shakin All Over' - a brilliant one-hit-wonder for Johnny Kidd & The Pirates in 1960 which was made even more famous in Australia when Normie Rowe took it to # 1 in September 1965. Although Cold Chisel occasionally covered this gem in '79 and '80, a recording of the song has never surfaced till now. Additionally, the band deliver an emotional take on the Bob Dylan classic 'Knockin' on Heaven's Door', which they offer as a tribute to two close friends and roadies who had recently died in a truck accident.